So let’s review some of the things that have stood out about progress in each of these areas over the last few years, most of which we’ve talked about here on the blog. I’ll include links to the relevant posts as we go along. Are fewer people dying from breast cancer? Most patients diagnosed with breast cancer still receive some combination of surgery, radiation and/or chemotherapy. This has been the standard of care for early stage breast cancer for a long time. Some patients receive additional targeted treatments, such as anti-hormone therapies or Herceptin, an antibody treatment, depending on the sub-type of breast cancer that they have. For at least the last five years, we’ve heard a lot about “personalized medicine” and treatments that boost the immune system against cancer. So are these approaches helping patients with breast cancer? More personalized care for breast cancer is beginning to include somewhat greater use of targeted treatments. Targeted treatments are drug therapies that are based on the specific molecular characteristics of an individual’s cancer. One of the big stories in the past five years was the new drug, palbociclib (Ibrance)–the first to be approved in a category of targeted therapies called CDK 4/6 inhibitors. Ibrance received accelerated approval from the FDA in 2015 and, in combination with the hormone therapy fulvestrant, has become a new standard of care for patients with hormone receptor-positive metastatic breast cancer. The I-SPY2 clinical trial is an innovative type of phase II clinical trial that is testing targeted therapies for breast cancer. It’s seeking to identify as rapidly as possible new drug therapies that show a likelihood of being successful for specific breast cancer subtypes so those therapies can move on to further testing in larger trials. Since the trial started in 2010, six drugs or combinations of drugs have “graduated” to being ready for testing in phase III clinical trials and three have received FDA approvals (although their use in breast cancer seems to be pretty narrow.) Greater use of clinical trials with this type of design may help to shorten timelines for bringing more, effective new therapies to patients. Still, for a lot of reasons, not enough of us are participating in clinical trials. What about immune system treatments? Most of these therapies are experimental. Some types of immunotherapy, in particular checkpoint inhibitors, which “release the brakes” on the immune system, have been approved to treat certain types of cancer. But these therapies can have significant toxicities, especially combined with other treatments–and yet, we are also told that combining treatments effectively may be a key to making immunotherapy work for more patients. The use of checkpoint inhibitors to treat breast cancer is being studied in the I-SPY2 trial and other clinical trials. Despite the addition of Ibrance to the treatment options for some patients with metastatic breast cancer, overall progress against MBC has slowed over the last decade. MBC is responsible for nearly all of the 40,000+ deaths from breast cancer in the United States each year. Research focused specifically on MBC seeks to learn what causes metastasis and how we can intervene to shut down this process even after it has started. Although a true “cure” may not be possible, the question is whether we can treat the disease in such a way that patients live for a very long time with good quality of life. A report published under the auspices of an international conference on advanced breast cancer examined what the impediments are and what can be done to accelerate progress against MBC. The report notes that the recognition that much more needs to be done in MBC is gaining momentum. There is a “robust pipeline” of new drugs currently in all stages of development, including many in Phase III clinical trials that may become options for MBC patients in the future. To say that we have “personalized medicine” would also mean that we are moving away from a one-size-fits-all approach and sparing patients from the side effects of treatments that won’t help them and that they don’t need. It seems we are making some progress in that direction. Earlier this year, the long-awaited results of the TAILORx clinical trial were announced. The TAILORx findings are understood to provide strong evidence that most women who have hormone receptor-positive early stage breast cancer and have midrange recurrence risk scores (as measured by the Oncotype DX test) will not benefit from chemotherapy and do not need it. Chemotherapy does remain an effective treatment choice for many. Can anyone who needs treatment expect to receive high quality care? Unfortunately, access to high quality medical care including cancer care, varies widely in this country–and it’s not just a matter of whether/what kind of insurance someone has. A major 2017 study examined trends and patterns of disparities in cancer mortality over the last 35 years. The study’s findings were striking. Overall, cancer deaths by unit of population have declined moderately overall between 1980 and 2014. But when looked at by geographic area, which tends to correspond roughly with socioeonomic status, mortality rates differ substantially. The different outcomes are believed to mostly reflect differences in access to screening, timeliness of follow-up when a problem arises and access to treatment. And then there is “financial toxicity”. There have been numerous studies and expert commentaries over the last five years about the impact of the extremely high prices for cancer treatment on our health. One major issue is that the prices of both new and older cancer drugs are rising rapidly. A study published last winter examined the prices of older cancer drugs over time and found prices are rising much more rapidly than the rate of inflation and that there’s a steady increase in prices over time. An editorial in the Journal of Clinical Oncology, published along with the study, lamented the lack of real action by the medical and policy communities to deal with the problem of soaring drug prices. Are we better able to detect breast cancer “early”? A major study on breast cancer screening, published in April 2014 in the Journal of the American Medical Association (JAMA), reviewed what we know about the benefits and harms of screening mammography from the many clinical trials and other studies conducted over the last 50 years. The JAMA article reported that the available evidence overall shows that mammography screening is associated with some reduction of breast cancer mortality. However, the benefits of mammography were found to be greater for women who are at higher risk because they are older or have other risk factors–such as a family history of breast cancer. There have been technological improvements in mammography over the past two decades that allow for better image quality and lower doses of radiation. However, the basic approach is the same. Mammography is still not able to identify pre-cancerous changes that can be clearly identified as such–in the way that a PAP smear does for cervical cancer or a colonoscopy does for colon cancer. Researchers are working to develop a blood test to detect cancer, sometimes referred to as a “liquid biopsy”. One type of liquid biopsy would look for fragments of “circulating tumor DNA”–which are released as cells go through their cycles and gradually die off–and analyze them to identify any that have specific mutations linking them to the presence of cancer. There are many potential uses for such a blood test in patients who are being treated or have been treated for breast cancer. Possibly, such a test could be used for early detection in cancer screening too. However, researchers report that this potential use presents particularly difficult challenges that would need to be overcome. Are we learning how to prevent breast cancer? Could we possibly develop a vaccine that could be given to healthy individuals to prevent breast cancer? Researchers on the Artemis Project, sponsored by the National Breast Cancer Coalition, are in fact developing such a vaccine. They’ve identified certain proteins or “antigens” that the vaccine will target. These antigens are associated with signaling pathways that, when activated, can lead to breast cancer. NBCC reports that it is working with the FDA to obtain approval for a Phase I study of the vaccine. The study is expected to begin around January 2020 and will test the vaccine for safety, beginning with stage IV patients who have a relatively small burden of disease and have not had chemotherapy. And what about improved public policy measures to reduce our risk for breast cancer–or any cancer? This is an area that has not received much attention from policymakers in recent years, yet there are no shortage of studies emphasizing its importance. For example, a 2017 study reported in the journal Cancer examined the relationship between a wide array of factors affecting the quality of the external environment and the incidence of cancer in counties across the United States. The study concluded that areas with poorer environmental quality had overall higher cancer rates. The authors stressed that external environmental factors need to be studied, not in isolation, but for their cumulative effect. This conclusion echoed the findings of other studies that have been done by distinguished panels, such as the President’s Cancer Panel (2009), which called for additional research on the environmental causes of cancer, in particular the consequences of cumulative exposures over a lifetime and the interaction of multiple environmental contaminants. That panel also stressed the need for more effective measurement methods and toxicity testing procedures and the need to both enforce and update regulations governing environmental contaminants. 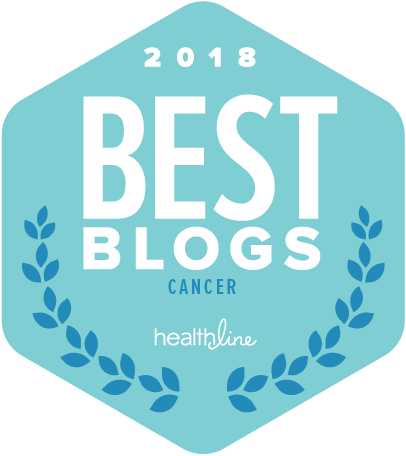 Overall, I think there is hope for the future–in more personalized treatment approaches as well as using specific targeted treatments that are more directed at the cancer itself and less toxic to other tissues in the body. But much more research is needed to figure out how to make these approaches work for more patients. We also need to address issues that are limiting people’s ability to receive quality care, including geographic disparities and the extremely high prices of cancer treatment. And we need to seriously tackle the problem of understanding how to reduce our exposures to toxic substances so we can prevent most cases of breast cancer from starting in the first place. Excellent article. I would add that lifestyle changes will impact risk reduction. I have always believed that what impacts primary risk reduction (not getting cancer) may also matter for secondary (not getting recurrence or postponing recurrence OR reducing impact of recurrence. I am the founder/president of Annie Appleseed Project and we share evidence-based information about Natural cancer strategies.